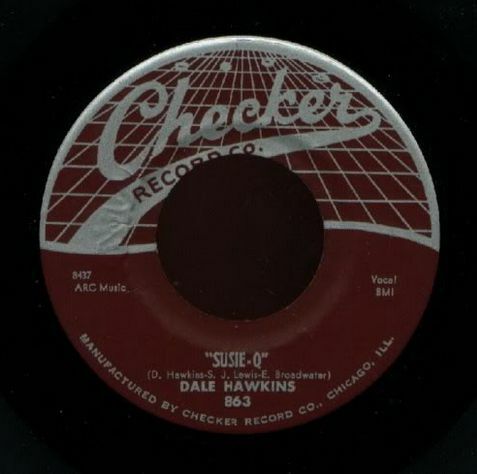 Today, I will begin with “A-1” on the jukebox and systematically proceed through all of the records with a focus on why the tune is worthy of inclusion and how I got it. 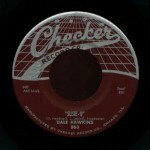 I purchased an original Checker 45rpm pressing of the record at a garage sale several years ago for 10 cents and it was money very well spent. Sonically, it sounds killer pouring out of the vintage juke speakers. 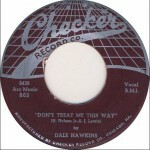 Once the track was recorded, the master was licensed to Checker Records who released the single in 1957 where it climbed to #7 on the R&B charts and #27 on the pop charts. The guitarist on the track was a young 15 year old future Rock ‘n’ Roll Hall Of Famer James Burton, who went on to play with the likes of Ricky Nelson, Elvis Presley, Johnny Cash, John Denver, Glen Campbell, Gram Parsons, Jerry Lee Lewis, Elvis Costello, Roy Orbison, Joni Mitchell, Vince Gill and many others. 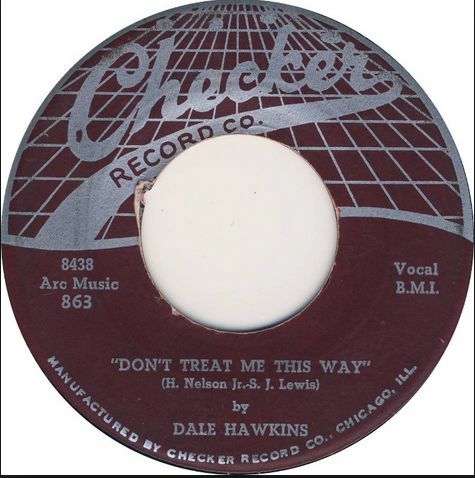 Posted: March 3rd, 2015 under Blues, Dale Hawkins, Music.